A 25 Year Old Single Malt Scotch Whisky from the Glenrothes distillery and independently bottled by That Boutique-y Whisky Company. 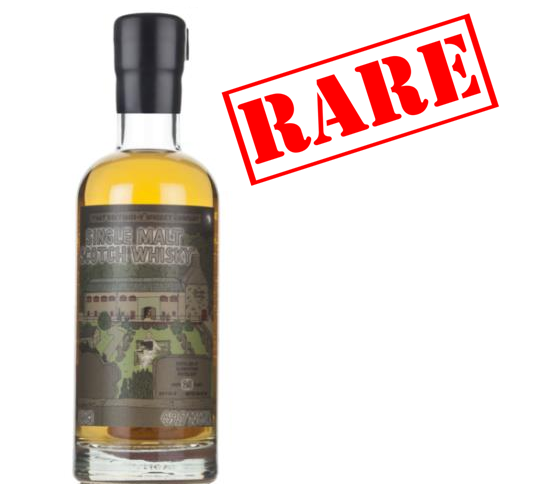 This Glenrothes edition is a release of 139 bottles, each bottled with an ABV of 49.7% and with a stylish label typical of That Boutique-y. Nose: Starts off immediately with toffee and a delicious caramel hint before rich gingerbread notes develop as the nose builds. Palate: More richness from mint chocolate as a creamy hint then appears with orange and vanilla. Finish: Lingering notes of almonds and chocolate, like the palate with wood hints also lingering.